GE Intelligent Platforms introduces the PEAZ-5565 reflective memory analysers to further enhance the utility of Reflective Memory (RFM) in distributed applications where high speed, deterministic data sharing is required between network nodes. Designed to simplify and speed up the identification and correction of errors in sophisticated distributed memory sharing applications, the PEAZ-5565 reflective memory analysers complement GE’s extensive range of Reflective Memory solutions. Reflective Memory (RFM) can be used in any application that currently uses serial networks to connect computers or PLCs. Offering the determinism, low latency and shared memory capability lacked by Ethernet and other serial technologies, RFM solutions are not subject to time delays due to network overhead, and help achieve distributed processing easily. 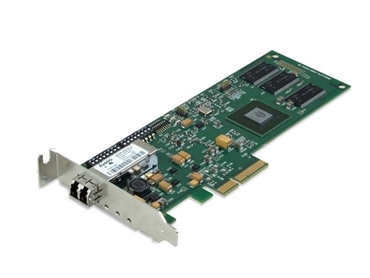 Designed for advanced networking applications that require high performance, fast, deterministic information exchange and sharing of data in real-time, RFM is being preferred by many customers in demanding commercial, telecommunications and military/aerospace environments over technologies such as Gigabit Ethernet, Fibre Channel and InfiniBand. Steve Pavlosky, Product General Manager, GE Intelligent Platforms explains that there is a continued need for niche communication technologies that move large quantities of data fast with low latency and are also deterministic. For many of these applications, Reflective Memory is the only viable solution. He adds that GE is an acknowledged leader in RFM technology, with their experience and expertise allowing them to offer excellent support to their customers as well as long term programs that are designed to minimise lifetime cost-of-ownership. Independent of node bus structure and operating system, and available in VMEbus, PCI, PCI Express and PMC form factors, Reflective Memory allows every computer on a network to receive a copy of every other computer’s memory in microseconds. All simultaneous CPU write access to this common memory space is replicated to all nodes in the network while RFM transparently monitors and replicates data so that the application can share the data without software overhead penalties.